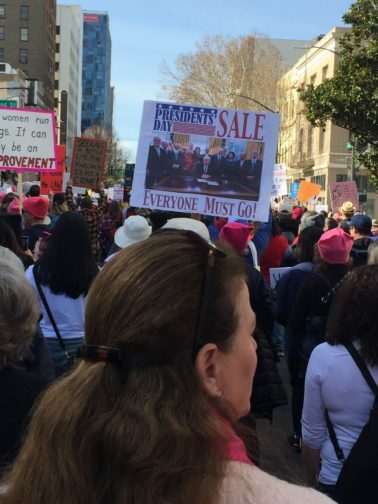 SAN JOSE, Calif.—Chants of “This is what democracy looks like,” and “Hey hey ho ho, Donald Trump has got to go,” rang through downtown San Jose on Saturday as some 18,000 women and men took part in the Third Women’s March as part of the fightback against the racist and misogynistic agenda of the Trump administration. Though somewhat smaller than in previous years, which saw up to 30,000 marchers, the event was marked by tremendous enthusiasm and could register solid gains on the electoral front after national, state, and local elections this past year. At the rally concluding the march, organizers called up all the local women who had run for or been elected to national, state, or local office in 2018—and they filled the stage. Recently re-elected California Treasurer Fiona Ma pointed out, “Immigrant rights, workers’ rights, women’s rights—this is what happens when we all get together.” She reported that 53 women in California had been elected to state and national office, including 19 women in Congress. The extreme right thrust of the Trump regime brought out many marchers new to political activism. 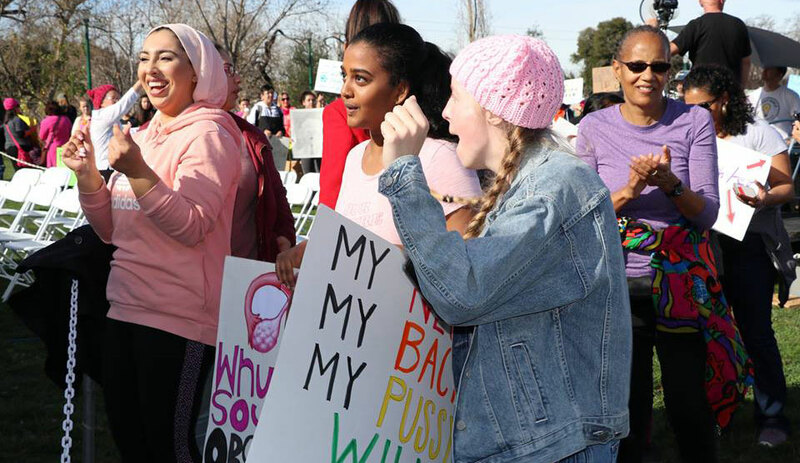 This was a first Women’s March for 24-year-old Andrea Cisneros, who said, “I thought I needed to be here” in response to an attempt to divide the Women’s March organization with unfounded charges of anti-Semitism among the leadership. This was the third march for Hilary Ludwig, who reported that she and her mother had never been politically active until Trump was elected but that they are now considering traveling around the country in the run-up to the 2020 presidential election to register new voters. She sported a “Pissed off white girl” sign she made in response to Trump’s “Muslim plan” blocking the entry to the U.S. of citizens from six Muslim-majority countries. A variety of progressive organizations staffed booths at the rally, inviting participants to join them in a variety of struggles. 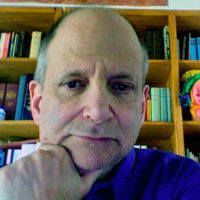 Marchers showed particular interest in a booth enabling people to submit hand-written comments (that by law must be read and registered by the federal government) against a proposed Trump administration revision of Title IX that would essentially give a green light to sexual abuse on school and college campuses.